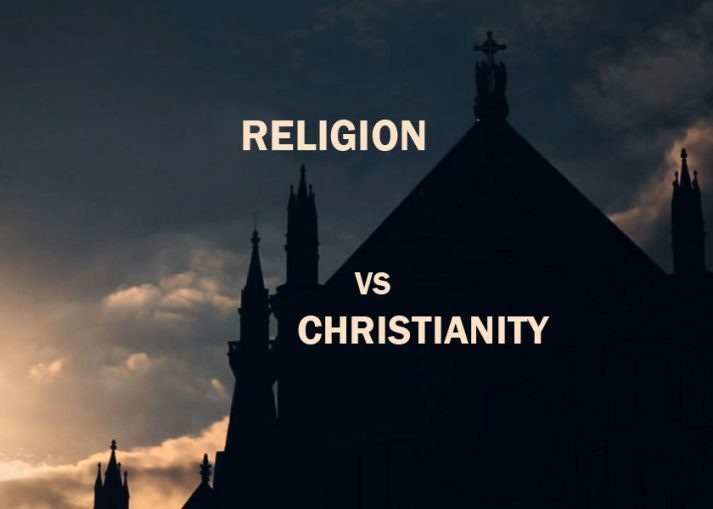 Someone asked me recently in a sarcastic tone, “Well, just what is the difference between Christianity and other religions; what differentiates Christianity from other religions?” Their insinuation was Christianity and other religions are all the same. Is there a difference? The answer is not complex: Christianity is God coming down to man in Jesus Christ to atone for the sins of humanity; while in other religions the focus is upon man’s vain attempt to lift himself up to God by his own bootstraps. In Christianity our transcendent God came down to man and enters our souls to regenerate, remake and remodel us; religion is man seeking to lift himself up to God and is so doing remake himself. Christianity is God taking the initiative to redeem man; religion is man‘s initiative to in some way to redeem himself. Christianity is the Holy coming to walk amongst the unholy; religion is the unholy seeking to come into the presence of He who is Holy. Christianity is Christ enduring the whole penalty of man’s guilt and sin; religion is man attempting do something himself to eradicate the sin and guilt that haunts him. Christianity is an Infinite Being taking upon Himself the likeness of the finite; religion is finite beings trying to achieve the likeness of the Infinite. Christianity is God seeking man; religion is man seeking God. Christianity is Christ who was rich becoming poor that we who are spiritually poor might become spiritually rich; religion is man who is spiritually poor seeking to be spiritually rich out of the depths of his own spiritual poverty. Christianity is a relationship with a Resurrected Savior; religion is adherence to the dusty dogma of a deceased personage. Christianity is heaven proclaiming salvation is finished and complete in Christ; religion is man asking what he must do to earn salvation. Christianity finds the ladder to heaven’s gate in Jesus Christ; religion finds man constructing his own ladder. Christianity says redemption is done, religion says for redemption you must do. Christianity is the self-sacrificing holy-love of God in Christ providing man with the perfect righteousness needed to stand before a Holy God; religion contends man has the ability within himself to provide the righteousness needed to stand before a Holy God. Christianity declares I have favor with God by faith in Christ; religion seeks favor with God by human works. And the Good News is, it is through faith in the Christ of the Cross, the Living Redeemer, the self-sacrificing Savior, the victorious Liberator, He becomes ours!! !